A few weeks ago, Brett and I decided to have a date night in DC as we wanted to check out Doug Aitken’s Song 1 exhibition at the Hirshhorn before it ended. It was definitely a unique and breathtaking exhibit and we were glad we went. First came dinner, and we thought a perfect place to try would be Sou’wester in the Mandarin Oriental since it wasn’t a far walk from the Mall. This was the first time we had been to the Mandarin since Brett surprised me with dinner at CityZen the night we got engaged, and that night almost seems like a blur now, so it was nice to walk in and see the views from the hotel of the waterfront. Luckily, we were seated at a great table facing the water, so we were able to see the boats and sunset right from our table. Sou’wester’s menu is mainly local fare with a southern influence and a heavy focus on fish and seafood. 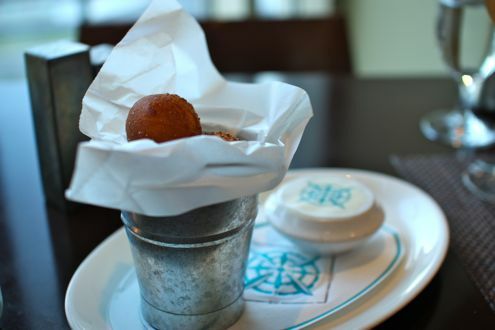 We had heard so much about the hush puppies that we knew we had to try them as a starter. 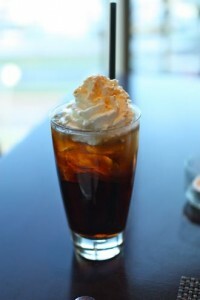 Brett also ordered the bar’s alcoholic rendition of a root beer float, which consisted of Jack Daniel’s, housemade root beer, vanilla bean, bitters, soda and vanilla nuage. 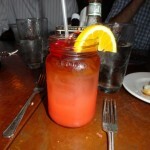 It was strong yet refreshing, especially since it was so muggy outside. 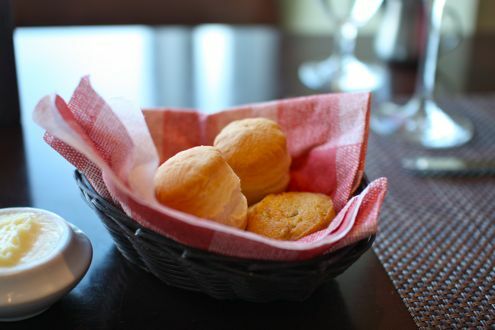 Before we could even try the hush puppies, out came a basket with cornbread and biscuits accompanied with a honey butter spread. I’m not sure which I liked better, but they were both excellent and I would have eaten more if we weren’t limited to one per person. As for the hush puppies, they lived up to the hype. In fact, they may have been the best we’ve had in this area. 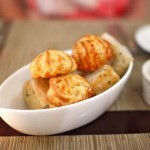 They were piping hot and had the perfect balance of sweet and salty when paired with the honey butter spread. We certainly had enough carbs to start our meal, but hey, we weren’t complaining! 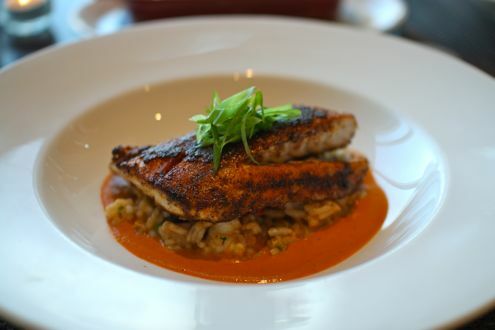 For our entrees, Brett ordered the blackened red drum atop a bed of jambalaya with a spicy tomato emulsion, while I got the roasted local rockfish with a farro salad. 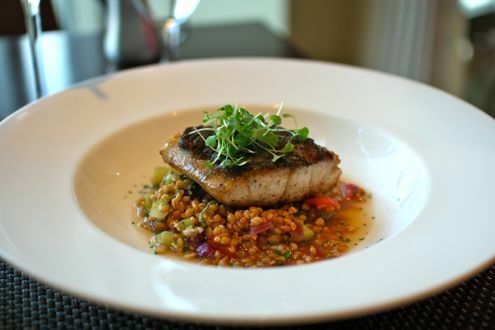 My rockfish was excellently prepared, and I loved the farro and lightness of the sauce it came with. 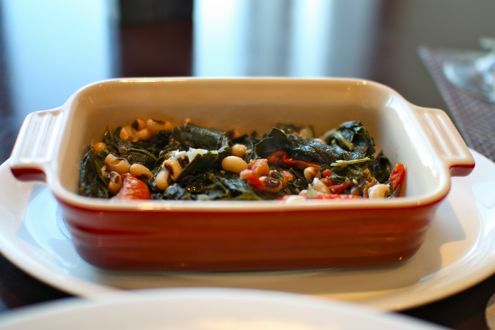 Between the shaved cucumbers, grapes, and tomatoes, it was a perfect dish for spring. Brett really enjoyed the red drum and remarked that he felt like he was back in New Orleans, which was where we last had this fish back in December. The seasoning gave the fish a nice kick while the outstanding shrimp jambalaya could have an entrée in its own right. We also shared a side of collared greens, which I couldn’t get enough of. They were cooked with stewed tomatoes and had a slight sweetness to them which I loved. They may have been my favorite part of the meal. 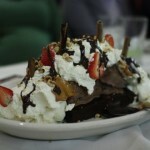 By the time we got to dessert, everything looked amazing, but we had to pass because we were simply too full. This was a case of us trying a place we likely wouldn’t have come to other than the fact that we had a LivingSocial deal, but we were glad we were able to try it out and would definitely go back again, if nothing else but to sit outside by the water and eat a basket of hush puppies.